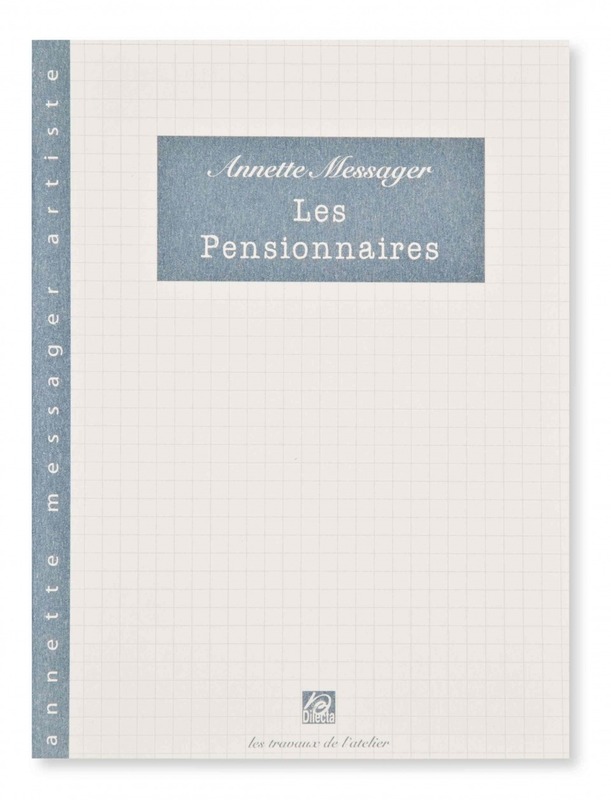 Annette Messager became famous in the early '70s with a spectacular installation, both funny and troubling, entitled “Les Pensionnaires” of which this book, put together with the artist, is the faithful reflection. 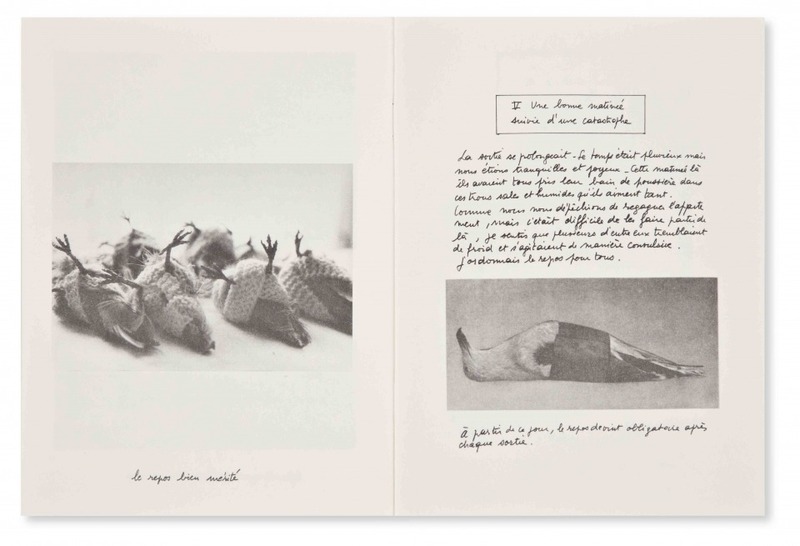 Conceived in 1971-72, Les Pensionnaires is “an essential and founding piece in Annette Messager’s body of work because it brings together all her practices as a whole (notebooks, stuffed animals, designs, writing, hanging murals). 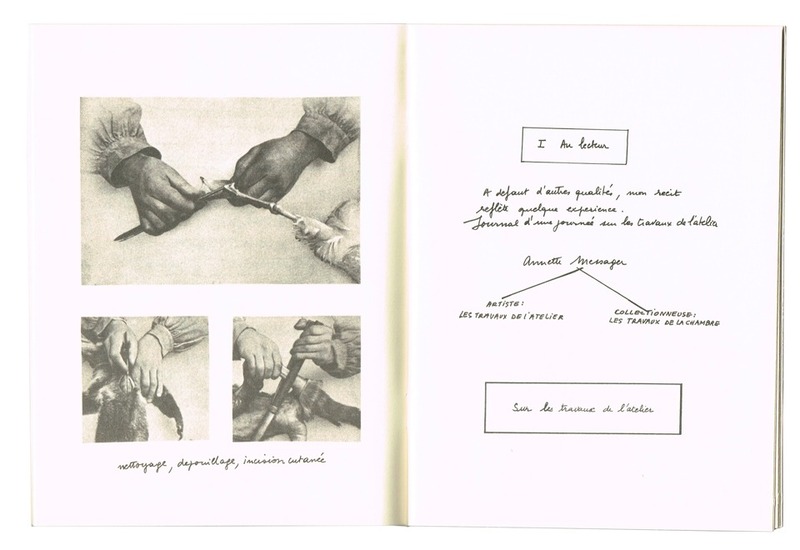 […] It runs the full gamut of the work to come. 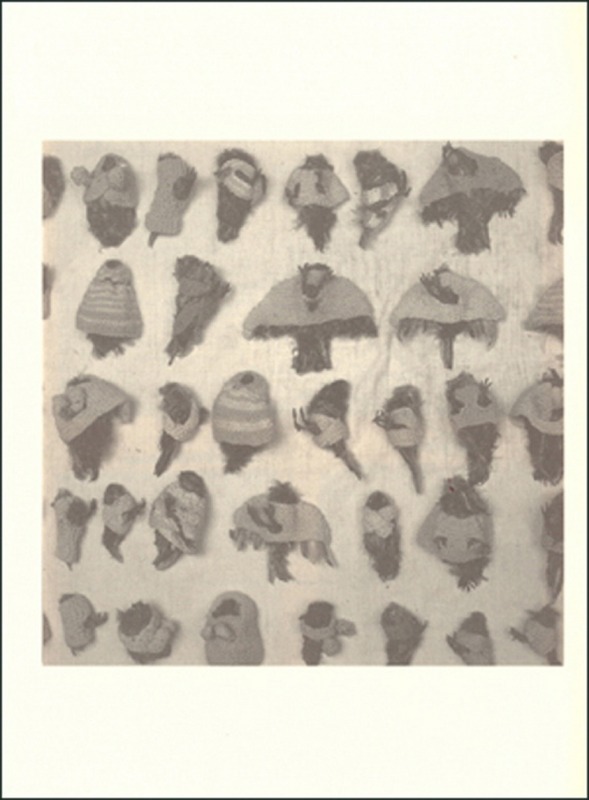 […] In a fiction, based on childhood experiences, Annette Messager takes on the role of the mistress of a pension house, a mother who raises, protects and punishes her bird-children.” The stuffed and swaddled sparrows live through all sorts of stories joined through six chapters “successively describing the cries of the birds, their walk, the dust bath, rest and punishment” (Marie-Laure Bernadac, in Annette Messager, Mot pour mot, Presses du réel, 2006, p. 9). A limited edition with additional paragraph by Annette Messager is also available.